Genuine lace up leather sandals handmade to order. 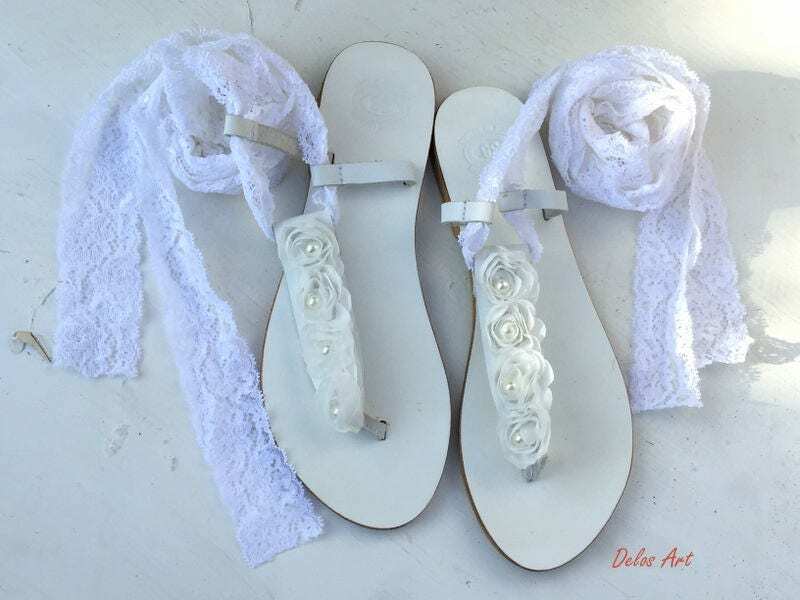 Elegant wedding lace up sandals in ivory or white high quality elastic lace for perfect fit and silk white roses with pearls. You will be unique bride!